A Romanian man living in Oldham who was guilty of flytipping at Windy Hill in Saddleworth failed to attend court and was arrested at Manchester airport trying to leave the Country. In comparison and as to be expected five people who threw cigarette butts away each received an average fine of £372.40p while Ciprian Sorica was fined just £971 costs and a £15 victim surcharge for flytipping and attempting to abscond. “On September 23 last year a resident contacted the council and reported waste had been dumped at the Windy Hill radio mast, Saddleworth. Ciprian Sorica, 22 of Camberwell Street and ABS Properties, of Tamworth Street Oldham. The property firm had asked Sorica to remove the waste from an address on Wall Street in Oldham – but failed to check if he was a licensed waste carrier. ABS Properties were summonsed to Oldham Magistrates Court and pleaded guilty to a duty of care offence and were given a 12-month conditional discharge and ordered to pay . When Sorica failed to attend court an arrest warrant was issued and he was later arrested at the airport. 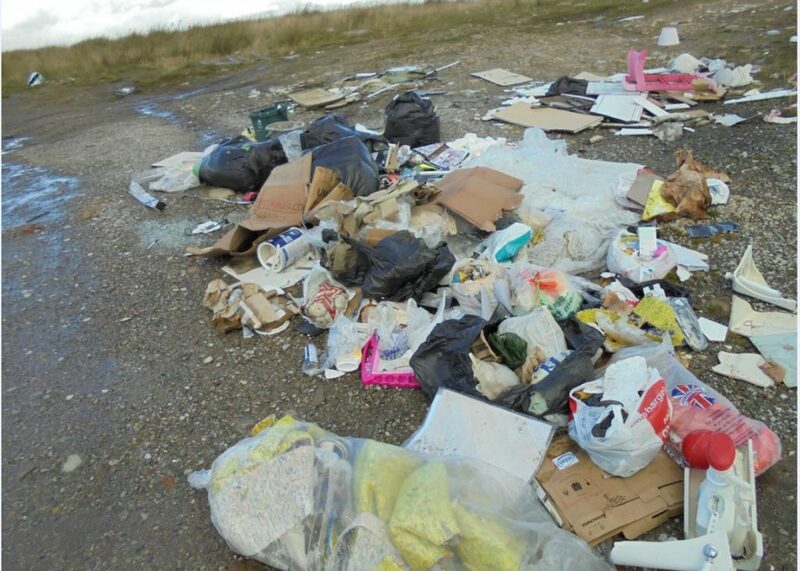 On August 10 he pleaded guilty to flytipping and was given a 12 month conditional discharge with £971costs. Councillor Cath Ball, Deputy Cabinet Member for Neighbourhoods and Co-operatives, said: “Flytipping is carried out by a selfish minority of individuals and not only blights the borough but is also a health hazard. “People need to take responsibility for their actions and clear up after themselves rather than leaving it to others. “It costs the council £1m a year to clear up waste and litter that is dumped in public places – money which could be better used on other services, especially when overall council funding is tight due to cuts and increasing costs. In separate cases Oldham Council also prosecuted five people for throwing cigarette butts on the floor rather than disposing of them responsibly.